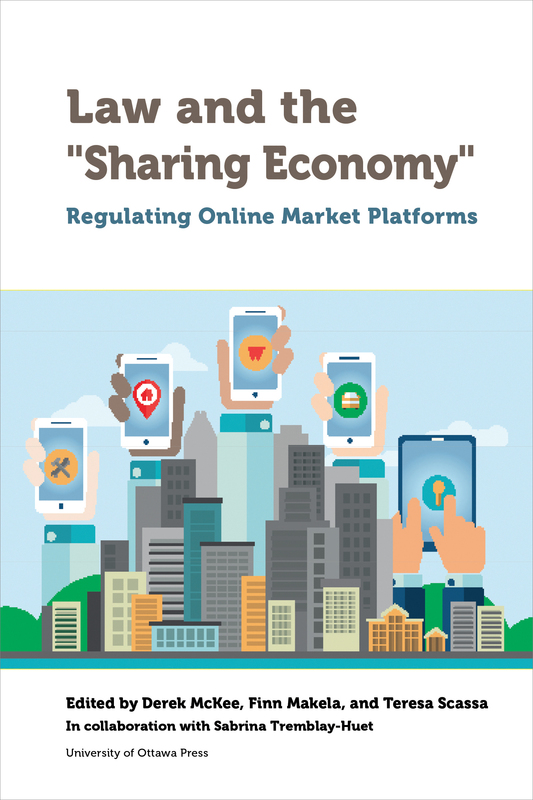 Professor Teresa Scassa just published Law and the “Sharing Economy”: Regulating Online Market Platforms, a new book co-edited by Derek McKee of the Université de Montréal and Finn Makela of the Université de Sherbrooke. The book’s chapters, including contributions from Professor Scassa and of another CLTS Faculty member, Professor Michael Geist, offer a rich variety of insights on the regulation of the sharing economy, both in terms of the traditional areas of law they bring to bear, and the theoretical perspectives that inform their analysis. Published by the University of Ottawa Press, the edited collection is available for download under an open access licence. A presentation of the book is available on the University of Ottawa Press website.